The huge British appetite for Nordic Noir TV has tended to distract attention from another, more subtle cultural invasion: the rise of the Scandinavian singer/songwriter. Or, more specifically, the rise of the female Scandinavian singer/songwriter. 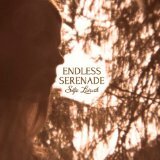 The throbbing undertow of Norwegian Silje Leirvik’s new album Endless Serenade would grace the soundtrack of any psychodrama, Scandic or otherwise. But there is much more to this rich collection of epic songs than inscrutable bleakness. Complex in theme and structure, they navigate shifting moods, ideas that morph tantalisingly in new directions just when you think you have them in your grasp. With producer Rhys Marsh, Leirvik has experimented with tape delay machines, which gives a grainy, textured quality to the electro backing, peppered with pedal steel guitar. Her voice dances and soars above the almost industrial pulse of the reverb (shades of Sweden’s Anna von Hausswolff) as she steers a fascinating course between symphonic ballads (“Glass of Water”), folk-tinged stories (“Leah’s Song”) and sophisticated pop (the single “Silver & Gold”). Like her compatriot, Anne Marie Almedal, Leirvik is too sophisticated a musician to be filed neatly under a generic label of Northern melancholy. Her lyrics are less rooted in landscape but there are edginess and dark moments of contemplation aplenty, balanced by passages of ethereal beauty and revelation when she discovers fresh truths about the opaque nature of love (“And Then Love Came” and the gently ironic, gritty “Serenade”). All of the tracks are sung in English, with the exception of “Snø”, a lush ballad with a sweeping, cinematic feel which builds to a muted crescendo on a flute-and-drum backing. Leirvik’s vocals reach a compelling peak in her native language but they are glorious throughout, never more so than in the gentle, flowing “The Last Dance”.